Authorised dealer of Ashok Leyland DG set range from 10 to 250 kVA. Ashok Leyland DG set used truck engine which is viable for heavy load and spares parts of engines are easily available. It is govern with electronic governor system which increase the fuel efficiency of the diesel generator. 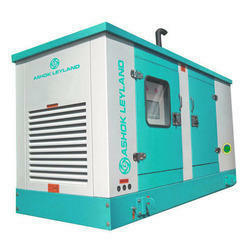 Backed by our flourishing business processes, we are offering Ashok Leyland Diesel Generators. Commercial buildings, industrial establishment and residential apartments make use of these products as source of electrical power in case of power failure. The offered product is manufactured as per the set industry standards using supreme class components under the guidance of our experts. We are the leading suppliers of Ashok Leyland Diesel Generators in Coimbatore, Mettupalayam,chennai,Salem, Tirupur, Pollachi, Trichy, Salem, Erode, Madurai, Tirunelveli , Chennai, Nagarkovil, Kanniyakumari,Tuticorin, Namakkal, Vellore,Theni, Dindugul, Ooty, Kunoor, Valparai, Kodaikanal, Kannur, Kozhikode, Malappuram, Palakkad, Wyanad, Kasargod, Kalpatia, Thrissur, Eranakulam, Bangalore, Kodagu, Mysore,Kolar, jaipur, sikkar, Delhi, Rajkot, Srinagar, Tamilnadu, Karnataka, Andrapradesh, Kerala, ArunachalPradesh,Andaman and Puducherry. Being a fast-moving organization, we are highly instrumental in providing 500 KVA Diesel Generator to our clients. In case of power failure, it is used as source of electrical power supply in various commercial and residential establishments. Highly demanded in the competitive market, the provided generators are manufactured under the stern guidance of dexterous technocrats. We are the leading suppliers of 500 KVA Diesel Generator in Coimbatore, Mettupalayam,chennai,Salem, Tirupur, Pollachi, Trichy, Salem, Erode, Madurai, Tirunelveli , Chennai, Nagarkovil, Kanniyakumari,Tuticorin, Namakkal, Vellore,Theni, Dindugul, Ooty, Kunoor, Valparai, Kodaikanal, Kannur, Kozhikode, Malappuram, Palakkad, Wyanad, Kasargod, Kalpatia, Thrissur, Eranakulam, Iduki, Kootayam, Alapuzha, Kollam, Thiruvananthapuram, Bangalore, Tamilnadu, Karnataka, Andrapradesh, And Kerala. We are involved in offering Kirloskar Generators to our most valued clients. Ideal to overcome the electrical power failure problems in various establishments, these are easy to operate and requires low maintenance. Backed by our robust production unit, we use optimum quality raw material and cutting edge technology to design the offered product. We conduct various quality tests on various parameters to ensure flawlessness. 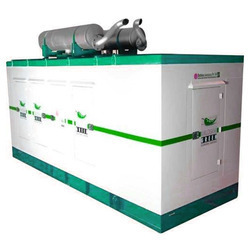 We are the leading s of Kirloskar Generators in Coimbatore, Mettupalayam,chennai,Salem, Tirupur, Pollachi, Trichy, Salem, Erode, Madurai, Tirunelveli , Chennai, Nagarkovil, Kanniyakumari,Tuticorin, Namakkal, Vellore,Theni, Dindugul, Ooty, Kunoor, Valparai, Kodaikanal, Kannur, Kozhikode, Malappuram, Palakkad, Wyanad, Kasargod, Kalpatia, Thrissur, Eranakulam, Iduki, Kootayam, Alapuzha, Kollam, Thiruvananthapuram, Bangalore, Tamilnadu, Karnataka, Andrapradesh, And Kerala. Backed by well qualified and experienced professionals, we are engaged in offering Kirloskar Diesel Generators. It generate less smoke and noise as compared to other diesel generators. Used in various establishments as source of electrical power supply in cases of power failure, the product is precisely manufactured in sync with the set quality standards using latest technology. We are the leading suppliers of Kirloskar Diesel Generators in Coimbatore, Mettupalayam,chennai,Salem, Tirupur, Pollachi, Trichy, Salem, Erode, Madurai, Tirunelveli , Chennai, Nagarkovil, Kanniyakumari,Tuticorin, Namakkal, Vellore,Theni, Dindugul, Ooty, Kunoor, Valparai, Kodaikanal, Kannur, Kozhikode, Malappuram, Palakkad, Wyanad, Kasargod, Kalpatia, Thrissur, Eranakulam, Bangalore, Kodagu, Mysore,Kolar, jaipur, sikkar, Delhi, Rajkot, Srinagar, Tamilnadu, Karnataka, Andrapradesh, Kerala, ArunachalPradesh,Andaman and Puducherry. We are the leading suppliers of Kirloskar Generator 160-250 KVA in Coimbatore, Mettupalayam,chennai,Salem, Tirupur, Pollachi, Trichy, Salem, Erode, Madurai, Tirunelveli , Chennai, Nagarkovil, Kanniyakumari,Tuticorin, Namakkal, Vellore,Theni, Dindugul, Ooty, Kunoor, Valparai, Kodaikanal, Kannur, Kozhikode, Malappuram, Palakkad, Wyanad, Kasargod, Kalpatia, Thrissur, Eranakulam, Bangalore, Kodagu, Mysore,Kolar, jaipur, sikkar, Delhi, Rajkot, Srinagar, Tamilnadu, Karnataka, Andrapradesh, Kerala, ArunachalPradesh,Andaman and Puducherry. We are looking Buyers from Tamilnadu, Telangana, AP, Kerala, Karnataka. We are the leading suppliers of Kirloskar Power Generators in Coimbatore, Mettupalayam,chennai,Salem, Tirupur, Pollachi, Trichy, Salem, Erode, Madurai, Tirunelveli , Chennai, Nagarkovil, Kanniyakumari,Tuticorin, Namakkal, Vellore,Theni, Dindugul, Ooty, Kunoor, Valparai, Kodaikanal, Kannur, Kozhikode, Malappuram, Palakkad, Wyanad, Kasargod, Kalpatia, Thrissur, Eranakulam, Bangalore, Kodagu, Mysore,Kolar, jaipur, sikkar, Delhi, Rajkot, Srinagar, Tamilnadu, Karnataka, Andrapradesh, Kerala, ArunachalPradesh,Andaman and Puducherry. 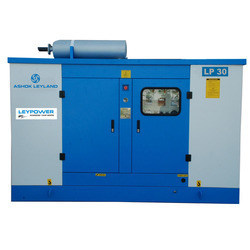 Being a quality conscious entity, we are committed in providing the best quality Ashok Leyland Generator. Known for its application specific design and consistent performance, these are used as source of electrical power in various industrial, residential and commercial establishments. Our skilled professional conducts various tests to ensure top quality product is delivered to the client. 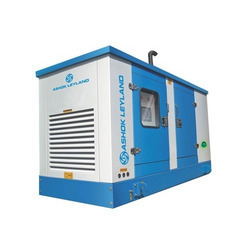 We are the leading suppliers of Ashok Leyland Generator in Coimbatore, Mettupalayam,chennai,Salem, Tirupur, Pollachi, Trichy, Salem, Erode, Madurai, Tirunelveli , Chennai, Nagarkovil, Kanniyakumari,Tuticorin, Namakkal, Vellore,Theni, Dindugul, Ooty, Kunoor, Valparai, Kodaikanal, Kannur, Kozhikode, Malappuram, Palakkad, Wyanad, Kasargod, Kalpatia, Thrissur, Eranakulam, Bangalore, Kodagu, Mysore,Kolar, jaipur, sikkar, Delhi, Rajkot, Srinagar, Tamilnadu, Karnataka, Andrapradesh, Kerala, ArunachalPradesh,Andaman and Puducherry. Cummins B series diesel generating sets, powered by Cummins B series engines, are rated at 1500 RPM and conform to ISO 8528 specifications. The engines are radiator cooled, four stroke and multi-cylinder, conforming to BS 5514 / ISO 3046. The scope of supply includes Electrical starter motor 12V DC Battery charging alternator Bosch fuel system with mechanical governor, A1 Class Spin-on lube oil filter Spin-on dual fuel filter with water separator Turbocharger Silencer (Hospital grade) Dry type air cleaner Shut-off coil Flywheel and flywheel housing First fill of lube oil and coolant Safety for low lube oil pressure Safety for high water temperature Permissible overload of 10% for one hour in 12 hours of Operation. Cummins advantage Special features of CumminsK38 series engineslike STC (Step Timing Controls) injectors, lowtemperature aftercooler, square cumbustionchamber, optimised turbocharging and precisionheavy duty camshaftmake these engines theultimate in exceptional fuel efficiency all across the operating range. 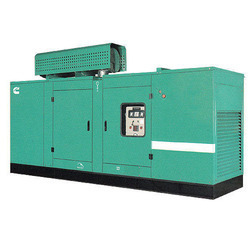 We are the leading suppliers of Cummins Diesel Generator in Coimbatore, Mettupalayam,chennai,Salem, Tirupur, Pollachi, Trichy, Salem, Erode, Madurai, Tirunelveli , Chennai, Nagarkovil, Kanniyakumari,Tuticorin, Namakkal, Vellore,Theni, Dindugul, Ooty, Kunoor, Valparai, Kodaikanal, Kannur, Kozhikode, Malappuram, Palakkad, Wyanad, Kasargod, Kalpatia, Thrissur, Eranakulam, Bangalore, Kodagu, Mysore,Kolar, jaipur, sikkar, Delhi, Rajkot, Srinagar, Tamilnadu, Karnataka, Andrapradesh, Kerala, ArunachalPradesh,Andaman and Puducherry. Authorised dealer of Diesel Generator set range from 10 to 500 kVA.Environment friendly power The Cummins ‘DXP series’ base Diesel Generator Sets are available with the lowest noise levels in its range and are CPCB certified for emissions compliance, thus offering you environment friendly power. The generator set powered by the reliable Cummins® ‘X series’ diesel engine meets stringent exhaust emission tests as per MOEF norms without sacrificing fuel efficiency at normal operating loads.Unmatched warranty The Cummins ‘DXP series’ Diesel Generator Sets are backed by the industry acknowledged best-in-class comprehensive warranty on the entire package including rubber componentsLowest operating costs All elements of the Cummins® ‘DXP series’ Diesel Generator Sets are designed from the start to work together to maximize efficiency, even at part loads, thus offering you the advantage of lowest operating costs. Single source power assurance The rugged and reliable Cummins ‘DXP series’ Diesel Generator Sets are unique, because all the major components – the engine, alternator, control system and canopy are designed, manufactured and tested by Cummins India. This complemented by the largest customer support network in India, capable of providing round-the-clock service and spares support, offers you from the world leaders in power generation. We are the leading suppliers of Cummins Diesel Generator Set in Coimbatore, Mettupalayam,chennai,Salem, Tirupur, Pollachi, Trichy, Salem, Erode, Madurai, Tirunelveli , Chennai, Nagarkovil, Kanniyakumari,Tuticorin, Namakkal, Vellore,Theni, Dindugul, Ooty, Kunoor, Valparai, Kodaikanal, Kannur, Kozhikode, Malappuram, Palakkad, Wyanad, Kasargod, Kalpatia, Thrissur, Eranakulam, Bangalore, Kodagu, Mysore,Kolar, jaipur, sikkar, Delhi, Rajkot, Srinagar, Tamilnadu, Karnataka, Andrapradesh, Kerala, ArunachalPradesh,Andaman and Puducherry.